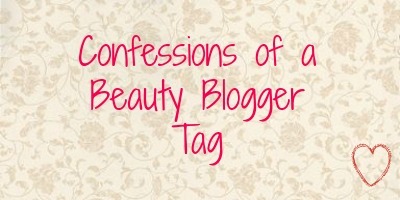 YOURS CHLOE: Confessions of a Beauty Blogger Tag! I was tagged by the lovely Lizzy (go check out here blog - it's fab) to do the Confessions of a Beauty Blogger tag, and it looked fun so i'm going to give it a go! To be honest it depends on what sort of post i'm doing! For example, it doesn't normally take me as long to do tags as it does to do posts with lots of photos or really wordy posts. Most of the time I spread out the writing over a few days so normally it takes between 1 hour and 2 to write and edit a post. I'm a bit of both really. If I know i'm going on a big shopping trip in the near future I will save my money but if not I tend to spend most of it quite quickly! 3) When is it easier for you to blog? I find it easiest to blog when i'm home alone or at night when i'm the last one up because there's no there to distract me! I also find listening to music helps me to focus and makes the whole process more enjoyable (because as I think most blogger will tell you, blogging can get a tad on the boring side when you've been doing it for a few hours straight and you're having a bit of a mental block). 4) What makes writing behind a computer comfortable for you? I find it comfortable writing from behind a computer because I know that the people that are going to read my ramblings are people who share the shame interests and (most of the time) opinions as me. I don't really have anyone that I actually know that I could have a proper beauty conversation with where as on here, I have lots of lovely people. 5) What's your worst makeup/hair habit? Dare I say it? Oh go on then... I sometimes blend my concealer in using my fingers. Yes yes I know that I should use a brush (and I do most of the time) but I find that when I use my fingers my concealer blends in much better than it does when I use my brush! Does anyone else have this issue? 6) What's one quote you wished the world would live by? 7) How long do you spend getting ready every day? On a school day it takes me about 1 hour to get dressed, do all my skincare stuff, put my makeup on, do my hair and have breakfast. There is a lot of procrastination in there too though. 8) Who's your favourite blogger? Zoella! Personally, I can really relate to Zoe when it comes to lots of things, for example: anxiety and panic attacks. Zoe has written some incredible blog posts (and make an amazing YouTube video) about those issues in the past and as a suffer of both, those posts have really helped me. I also love Zoe's personality and the way that that comes through in her posts. I've been reading her blog for a few years now (I started reading not long after she started blogging) and I won't be stopping anytime soon! 9) Who is a blogger you read who you think deserves more subscribers than they have? There are so many bloggers who deserve more subscribers than they have! 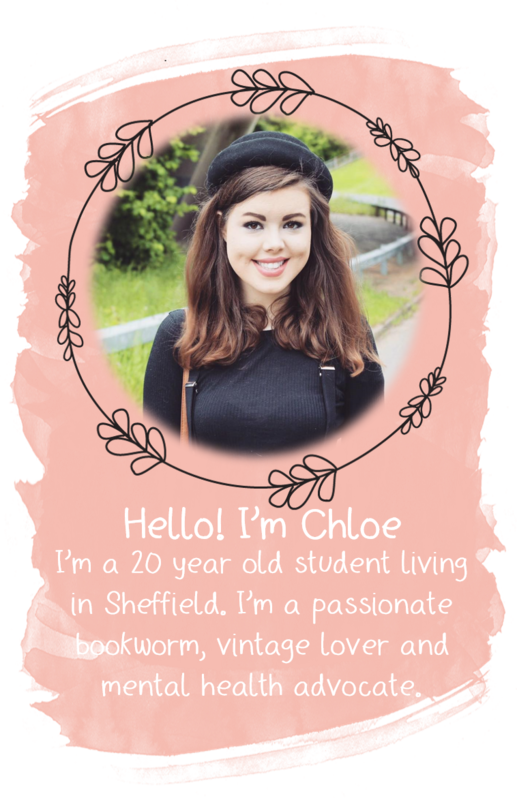 One of my favourite smaller blogs is Rosie's and it's one that I've been following for ages! She definitely deserves more subscribers! Another blog, that I've only come across recently is Tasmin's and she writes another great blog that really deserves more subscribers than it has! 10) What's one thing you're excited about in the upcoming year? I have quite a few things i'm really excited about that are coming up! One of these things is the holiday to Turkey, with my family, that i'm going soon. Yay! 11) What's your most awkward blogging moment? I haven't really had one yet! And fingers crossed I won't be having one anytime soon! 12) How long does it take you to prep for a post? With most posts I start planning for it a few weeks (possibly months) before I actually start writing! I have a notebook where I put all my ideas for the post on a page, and sometimes I do a sort of mood board on polyvore with all my ideas. Then i'll do all the photos and photo editing before I actually sit down and write. From then it can take up to 2 hours to complete. 13) Are you wearing pants (trousers) right now or are you actually wearing pyjama bottoms or sweatpants? I'm wearing my pyjama bottoms! I can't really think of one particular thing that i'm most proud but (sorry this bit's cheesy) i'm really proud of myself for overcoming some stuff I thought I wouldn't! I won't go into too much detail but the last year or two have been tough for a few reasons and I think I've dealt with it all well. 15) Who do you tag? Thanks again Lizzy for tagging me! It was so much fun doing this tag and I hope all the girls I've tagged enjoy doing it too! This is really helpful for new bloggers (like me:)!) I also love zoella and I usually blend my concealer in with my fingers aswell as I don't have a brush :/ would you recommend any small brushes to use? lovely blog, followed, mind following back? Thank you for tagging me, I've just answered the questions.